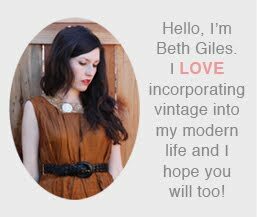 I always try to repair our vintage clothing with found vintage notions because it seems like the right thing to do and because I never make it to the fabric store, no matter how many times I plan to go. Since vintage is hit and miss, I may have items needing repair sitting in a pile for months waiting for a snap or button (I probably shouldn't blame the buttons, it really has more to do with my procrastination, but let's pretend for a second). Over the weekend I hit the sewing jackpot at an estate sale. 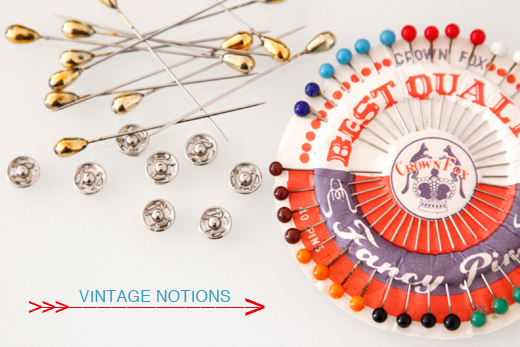 I grabbed a box and filled it with pins, needles, snaps, buttons and more. Time to start sewing!